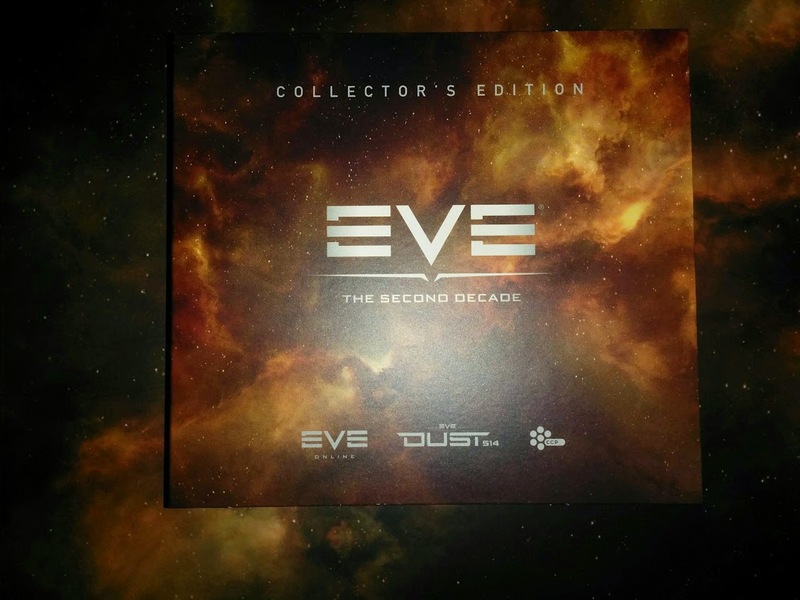 Little over a year ago, CCP shipped out their ten year anniversary collector’s edition all across the world for people to enjoy. At the time I was one of those people wanting to buy, but not willing to spend my money on it just yet. Mostly because at the time I was spending my money on other things like a new motorcycle and things like that. Today, I received a box in the mail, with a little gift in it from my girlfriend. 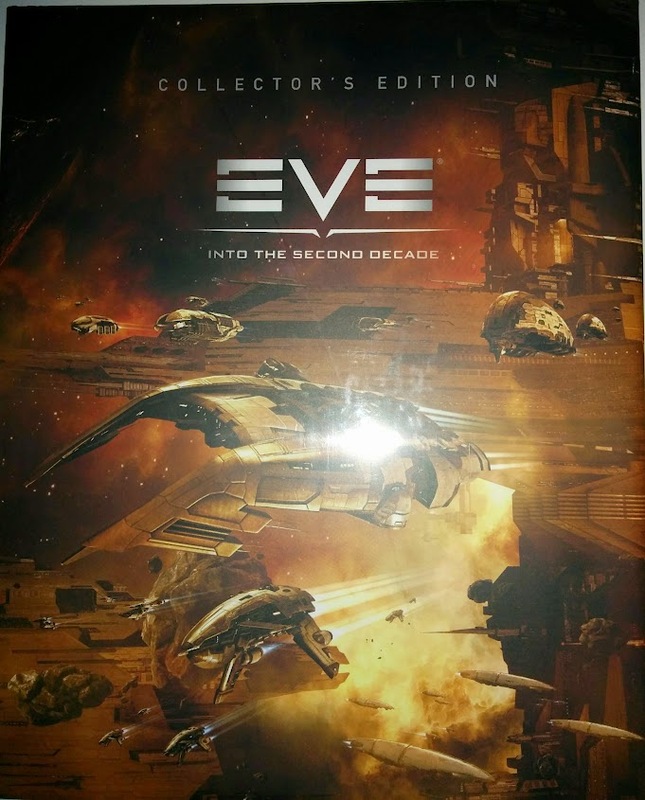 This gift was, as you can probably tell from the title of this box, EvE’s collector’s edition. This box set has been on my “To Buy” list ever since I first heard about it, I just hadn’t gone to the trouble of buying it yet. So opening a plain cardboard box and seeing this thing in it, you can imagine that I was certainly surprised. One of the big reasons for wanting this was the game inside. “Danger Game” or under it’s official name Hættuspil. 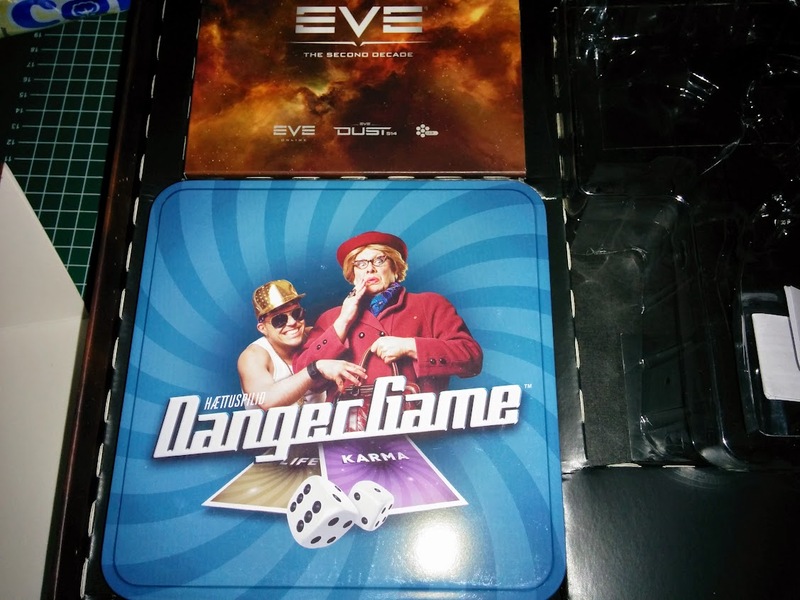 I tend to play board games with my friends once a week and we’re always on the lookout for new things to try, seeing as this is what started CCP, I really wanted it, and now I have it. Only thing I need to do now is try it out one of the coming days. The Rifter USB hub inside the box looks nice, but it doesn’t feel too nice. 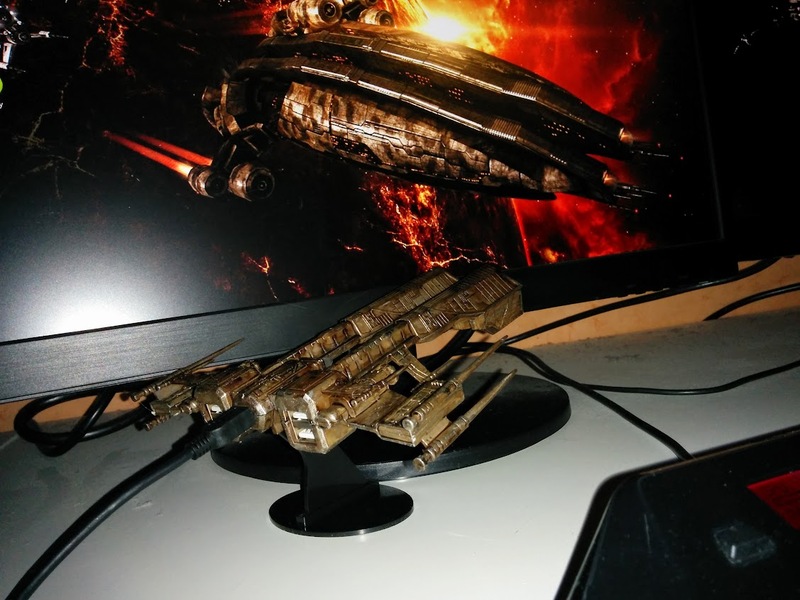 It’s plastic, a nice piece of decoration but the USB cable supplied with it is way too short to hook it up to my machine so I’ll just use it as decoration next to my battle station. 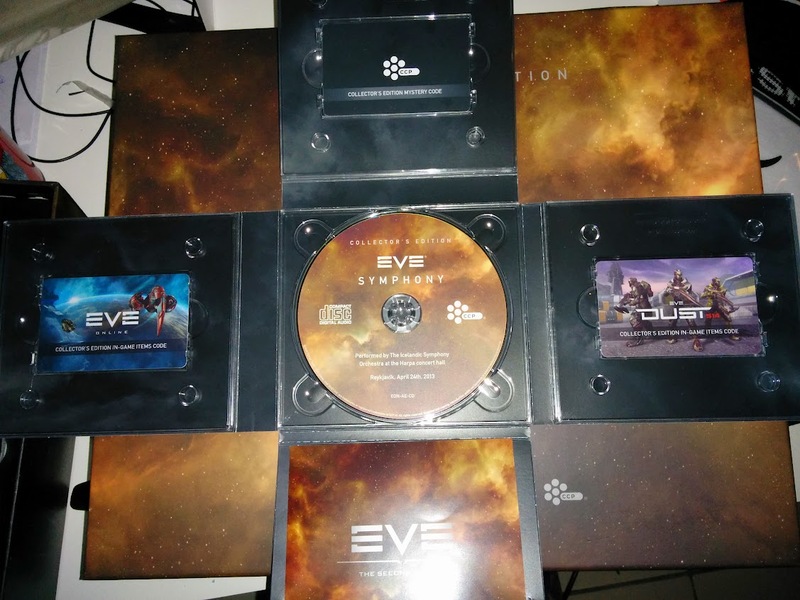 The box with the codes and accompanied soundtrack is an eye catcher, the artwork on it is great and even the cards with the codes have a nice touch. What I completely forgot about however, was the art book. “Into the Second Decade” it’s a hardcover 193-paged book filled with text and art work. I have only browsed the first few pages but I love it already and will enjoy reading it from cover to end. As for the rest. I haven’t checked the in game codes yet, I have yet to decide if I’ll be redeeming them or just giving them away. We’ll see. Right now, I have some reading to do. And if anyone were to care about it, turns out that my girlfriend ordered this on Monday. So it took less than a week to get here.